A defining attribute of QAE is the school’s emphasis on the importance of students’ social-emotional development. and reinforce the approach at home. As a result, we created 3 handouts parents can print out and post on the fridge or wherever it's handy. At Queen Anne Elementary, we talk a lot as teachers and as parents about social and emotional learning (SEL). We believe that we need to teach our students so that they thrive not only academically but also socially and emotionally. Here is a brief overview about how you will see me address your student's SEL in my classroom this year. At QAE, you will hear a lot about Positive Discipline as we use it in all of our classrooms. Positive Discipline is a program based on the work of Alfred Adler and Rudolf Dreikurs and is designed to teach young people to become responsible, respectful and resourceful members of their communities. Based on the best selling Positive Discipline books by Dr. Jane Nelsen and other co-authors, it teaches important social and life skills in a manner that is deeply respectful and encouraging for both children and adults (including parents, teachers, childcare providers, youth workers, and others). 5. Invites children to discover how capable they are. (Encourages the constructive use of personal power and autonomy. Here is a link to a positive discipline matrix we use to address misbehavior by identifying children's mistaken goals. * As parents, we can use family meetings with similar intentions and guidelines. In our classroom, we will have class meetings 3 or 4 times a week. During these class meetings, students will learn how to give and receive compliments. They will also learn and practice self-regulation and problem solving skills and help make decisions for our classroom learning community. This will also be the time when we implement the Kelso's Choice social skills curriculum. We will spend time learning what problems are small problems, and then we will learn each of these choices, practicing what the choice looks like with role-plays and reporting stories when choices are tried out at school. Kelso also teaches kids that problems that involve someone getting hurt are big problems. Small problems are not solved after trying two choices can turn in to big problems as well. If kids are having big problems, Kelso and I teach them to tell an adult they trust right away so that we can help them. "Tattling" is a word that is often used by adults in a way that is confusing to children. 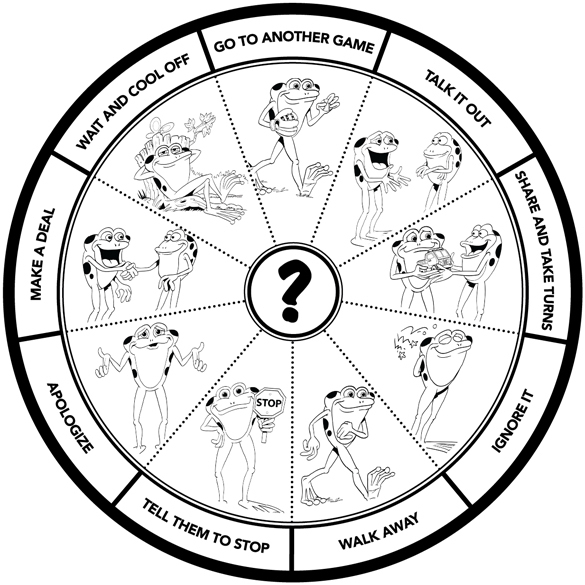 Kelso teaches kids that tattling occurs when a child has a small problem that he or she could work out with one of his choices. If the child perceiving the problem goes directly to an adult to get the person he is having a problem with in trouble instead of trying to solve the problem with the child first, that is tattling. During a few recent class meetings, we talked about how important calm bodies and brains are for our learning. We all agreed that it was important for us to create a space for kids to go when they were not feeling calm, and then we brainstormed where to create this space and what to call it. After some great discussion, we decided to name it the Peace Place and locate it on the bean bag in the hall space directly out of our back classroom door. Over the next few weeks, we will finalize our ideas about what the space will look like. The ideas so far include having some sort of ceiling (creating a fort or cave feel) and hanging up photos of people we love and calm, happy vacations we have been on. The long range effect of encouragement is that it invites self-confidence. The long-range effect of praise invites dependence on others. The positive discipline approach encourages adults to encourage the children we are teaching as much as we can. Wondering whether the statements you make to children are praise or encouragement? ~ Am I inspiring self-evaluation or dependence on the evaluation of others? ~ Am I being respectful or patronizing? ~ Am I seeing the child’s point of view or only my own? ~ Would I make this comment to a friend? ~ “You did it right.” vs. “What do you think/feel?” or "What did you learn?" Of course, a whole lot of the SEL learning our students do come from the natural, informal interactions they have all day long as they work, play and learn together! QAE parents can learn more about each of these topics by reading the notes and following the links below. QAE uses Kelso's Choice conflict management skills program. Their Parent Page has good information about how to help kids with conflict at home. 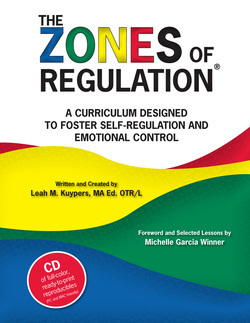 QAE uses Zones of Regulation to help kids learn self-regulation of their nervous systems and emotional self-control. QAE uses Positive Discipline to foster self-discipline, responsibility, compassion, cooperation, and problem-solving skills. Learn more at the Positive Discipline website linked above. To help parents bring this approach into their parenting at home, QAE’s school psychologist Julietta Skoog offers highly popular classes in Positive Discipline. Click here to learn about her upcoming class offerings.